The local Wave Broadband location hosted a customer appreciation day on Saturday. Between 11 a.m. and 3 p.m., people could visit the location at 669 Glatt Circle to enter a 32-inch Smart TV raffle (along with other prizes), play games and take advantage of one-day-only offers. The event also saw a visit from Mayor Kathy Figley. 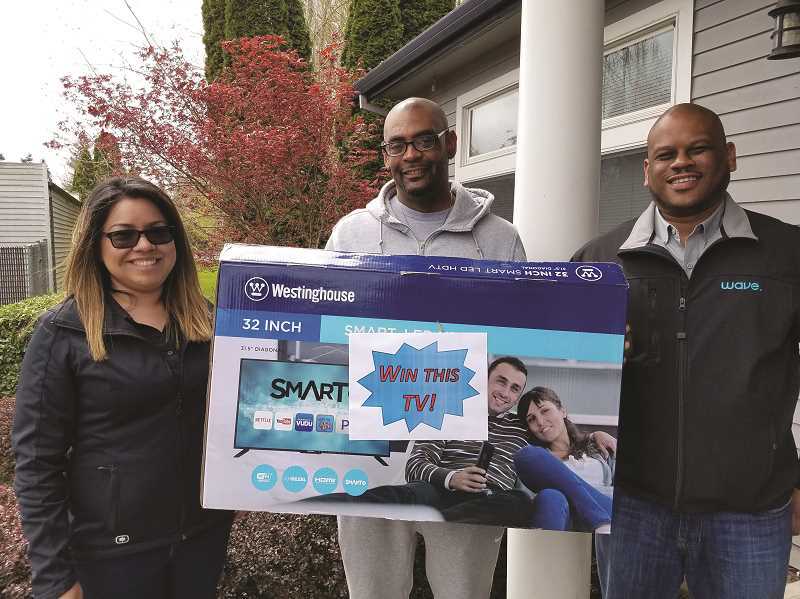 When raffled at 1 p.m., the TV was awarded to Jamil Nested, of Woodburn.